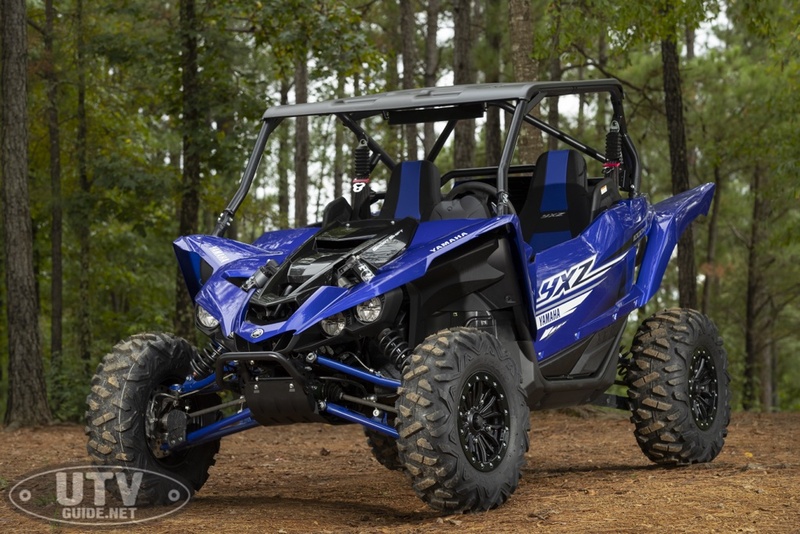 For 2019, Yamaha engineers have been working hard to tweak perfection out of the YXZ1000R and offer a plethora of solutions to features on the previous model years that needed attention or that could use improvements. The mission for MY19 was to expand it’s marketability through capability, comfort and confidence. To expand it’s capabilities for both West coast style driving as well as East coast, improving the experience for both. 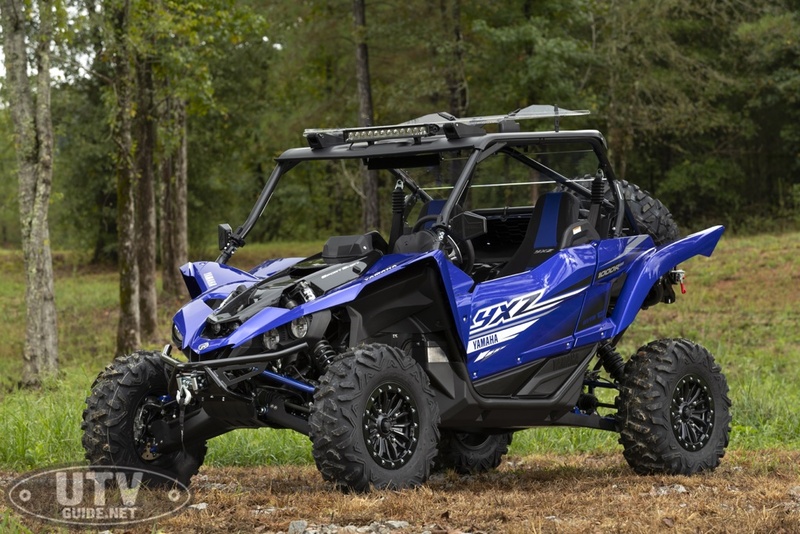 In a nutshell, Yamaha set out to further optimize it’s off-road terrain-ability, further improve it’s overall comfort and to enhance it’s durability. Below is the quick list of feature enhancements that we’ll dive into and unpack. In order to expand the capability or terrain-ability of the YXZ1000R, Yamaha made a handful of vital changes. 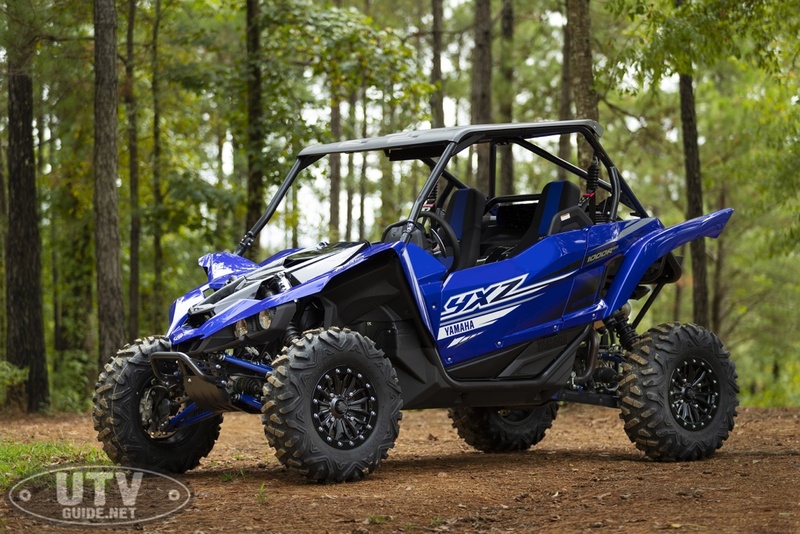 First off, Yamaha started by outfitting the YXZ with a new set of ultra-durable 29” 8-ply Maxxis Big Horn tires. 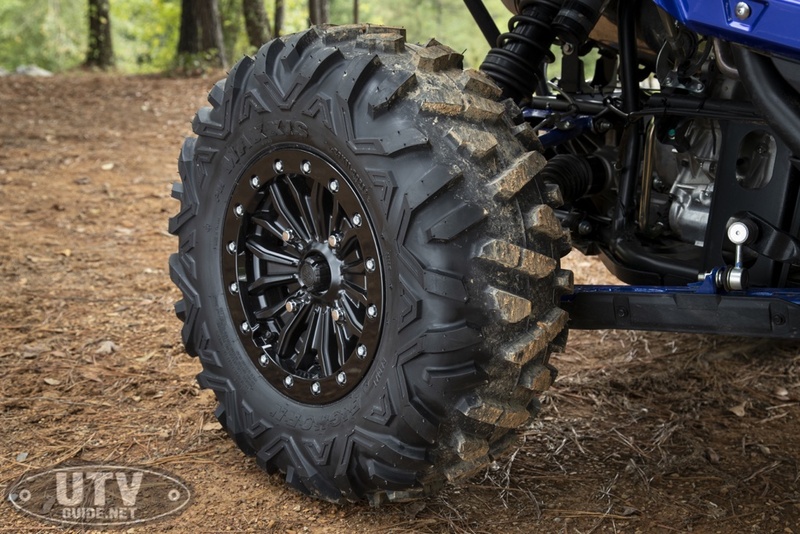 This new tire drastically improves traction and bite, adds 0.3” of ground clearance and improves durability by 33%. 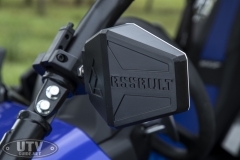 In addition, engineers chose a new bolt pattern of 4x156mm which is 30% larger than the previous years model. With such drastic changes, revising other features needed to be considered to accommodate these larger tires such as improving and beefing up the braking mechanisms. 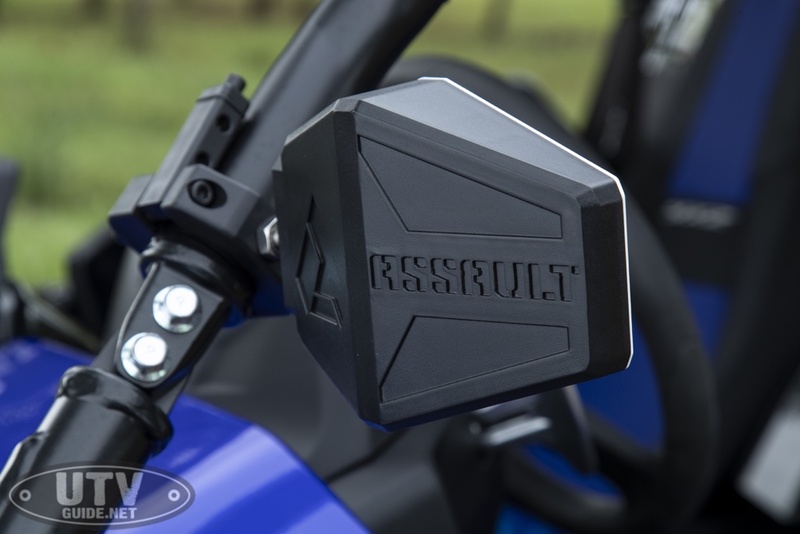 In order to better handle the weight and size of these bulkier new tires, it’s stopping power has been greatly enhanced with larger +10mm brake discs, 2 mm front piston, 3mm rear brake calipers and a 19mm master cylinder. Stainless steel brake lines are also being used on the 2019 model which helps reduce that dreaded spongy feeling in the brakes, as well as adds additional protection for the lines themselves. Another tweak I think most will be happy with is the gearing changes. 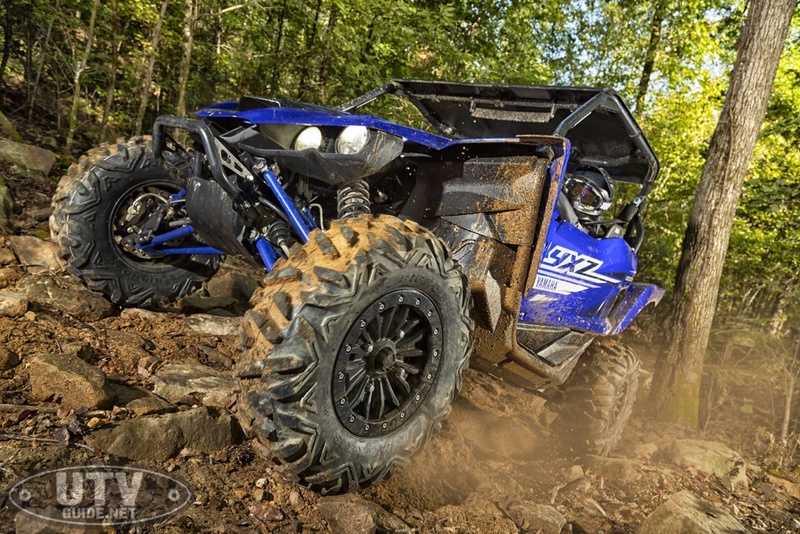 With the addition of larger beefier tires and to improve upon the YXZ’s ability to tackle tough terrains even at a slower pace, the gearing would benefit from some recalibration tweaks. 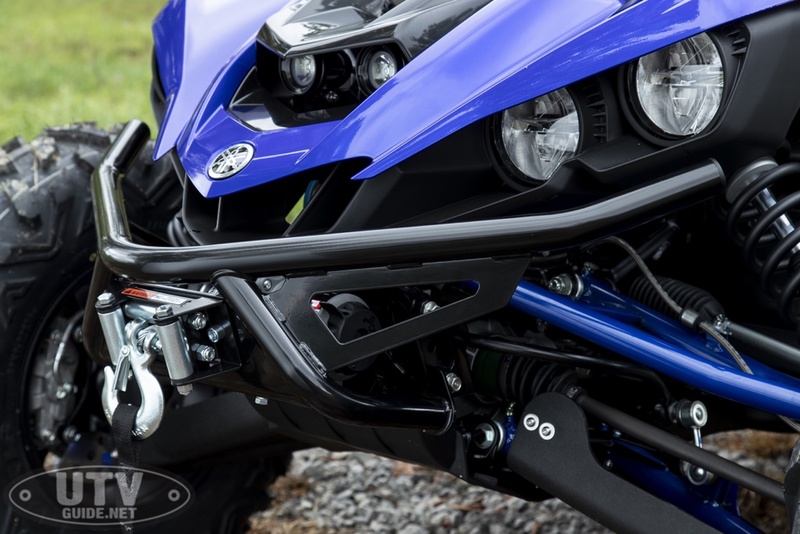 Yamaha lowered the gearing for first gear by 23.6 percent which adds a significant and noticeable amount of torque and faster acceleration. This ends up lowering second through fifth gear by 7%. 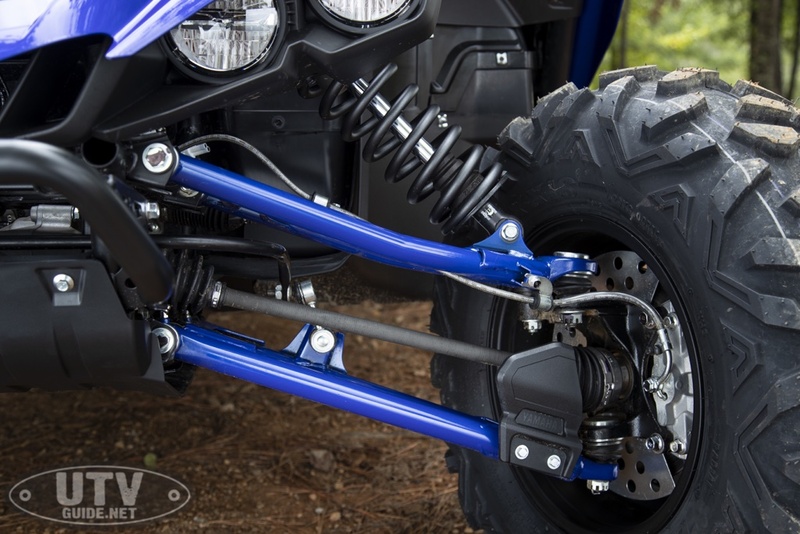 These new calibrations both better accommodate the new 29 inch tire size from from it’s former 27 inch, makes crawling through technical terrains easier as well as adds durability to the gearing system. 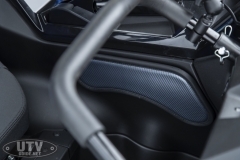 Engineers claim that these changes improve the durability of the clutch by 2.3 times. 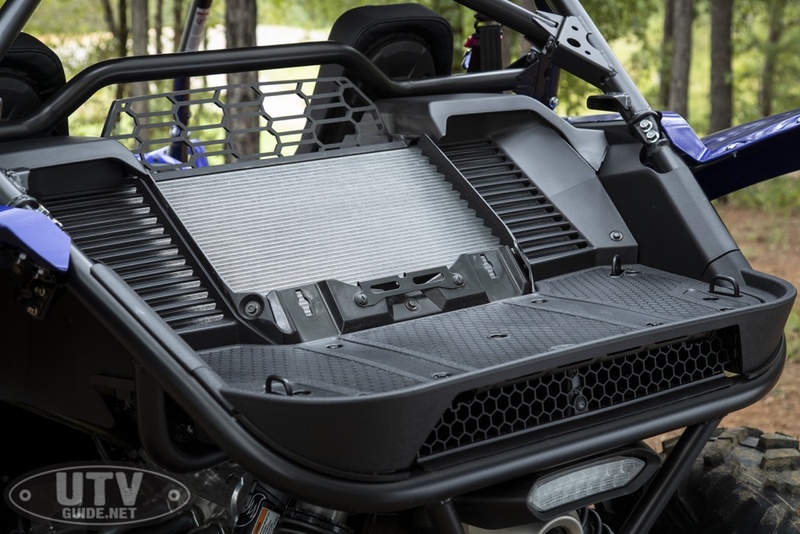 One of the bigger and most welcomed changes to the MY19 YXZ1000R that I believe most trail and even dune drivers will appreciate is the relocation and size of the new radiator. First off, Yamaha engineers have relocated the radiator to the back side of the cab, increased the size of the radiator by 32%, which is the largest radiator Yamaha has ever used and is now making use of two fans that increase air flow by a whopping 300 percent. 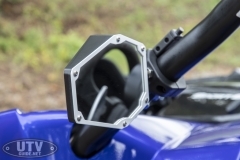 It makes use of a triple air intake design. 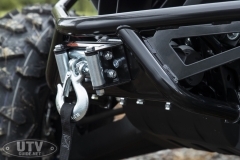 The relocation of the radiator should pretty much eliminate the possibility of mud and debris clogging that ultimately leads to overheating of the engine. In addition, from a comfort standpoint, the relocation helps keep the cab 31 percent cooler, lessening the temperature of the center console and cup holders as the hot air is no longer being blown into the cab from the radiator being located in the front. 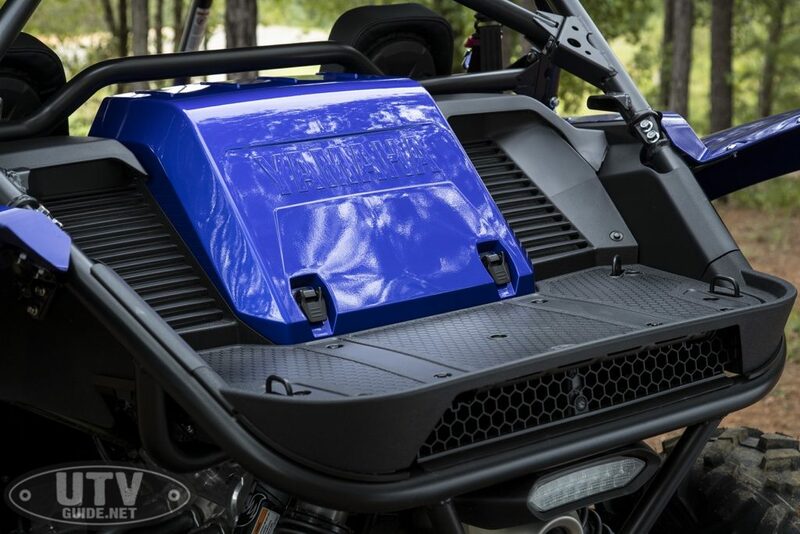 And to top it off, the new radiator design makes cleaning easier than ever. You simply just pop off the radiator cover and the radiator is exposed for easy cleaning. Yamaha also has kept proper airflow in mind when designing accessories that many will outfit their YXZ’s with such as front and rear windows. 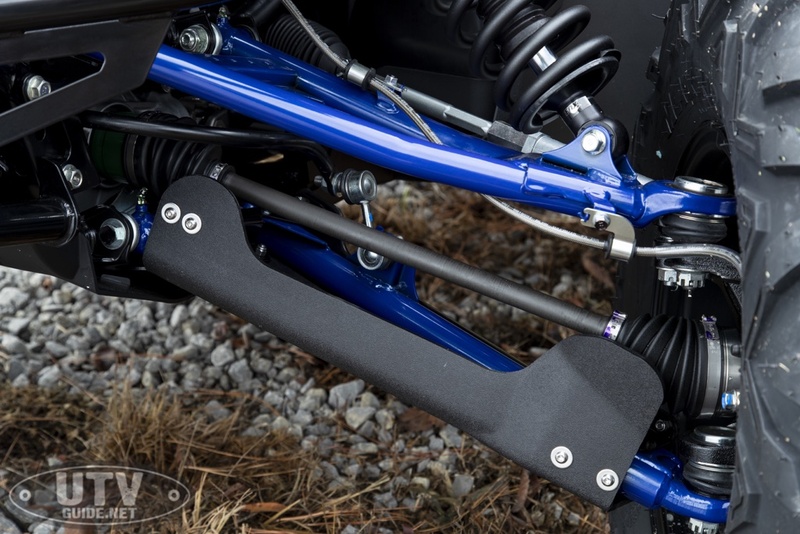 Both comfort and confidence have been greatly enhanced due to the all new suspension setting of the Fox Racing shocks. Through new high flow internal valving as well as reconfigured new spring rates, Yamaha claims that low speed and high speed comfort has been drastically increased on the Fox Racing Shocks that come stock on Yamaha’s 2019 YXZ1000R models. 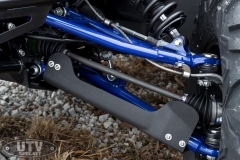 While some of the models will come with Dual Springs, the standard models are outfitted with a single spring. 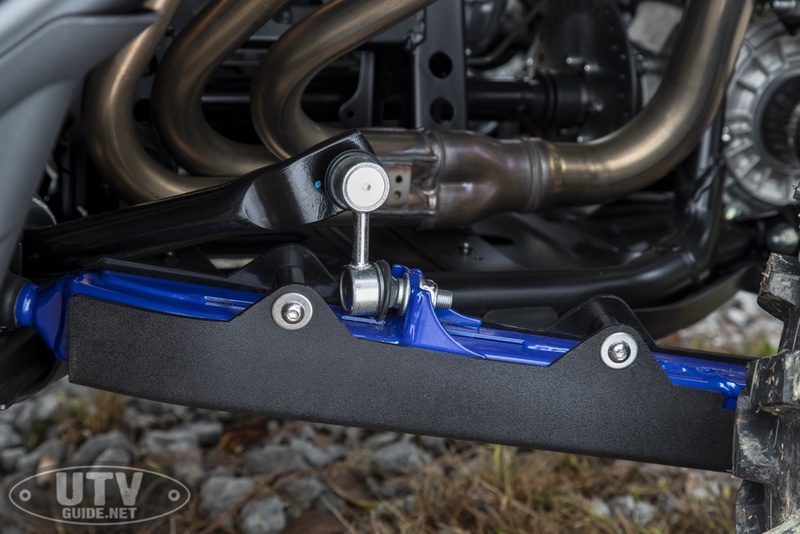 For me, improving suspension setups is always one of the most welcomed improvements that can be made to any UTV and I think most drivers will find these new settings will strike a great balance between comfort and performance. 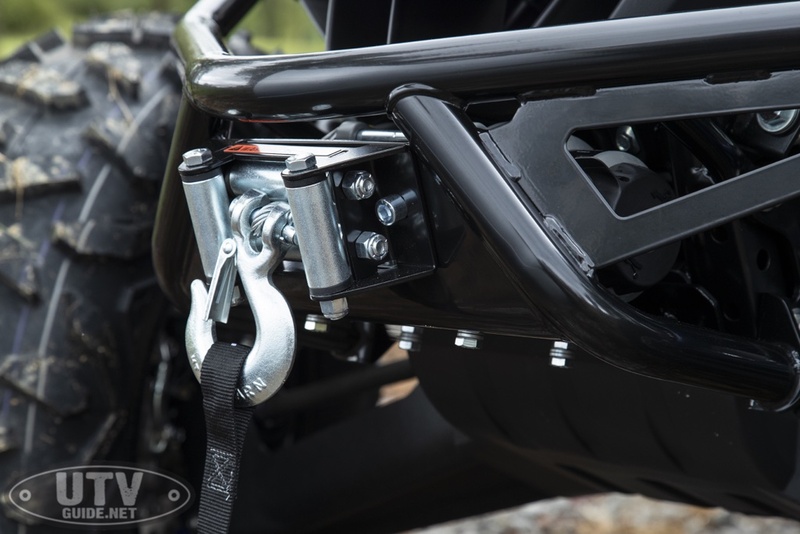 Additionally, new protector shields have been added to both the springs and A-arms to protect from rocks and debris and to enhance durability of the suspension system. 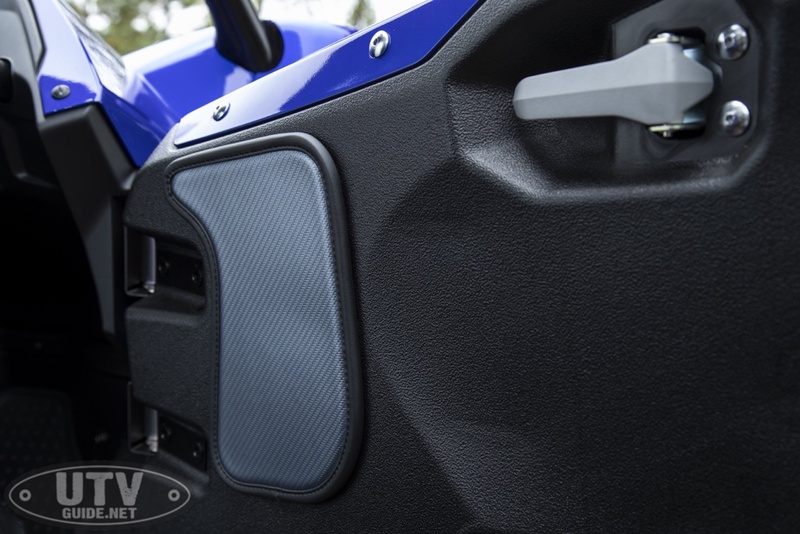 Lastly in the capability category, Yamaha aims for a little customer convenience by enhancing the design of the cargo bed. The storage space for a cooler or other cargo items is 698mm wide with a depth of 318mm which remains from previous year models. 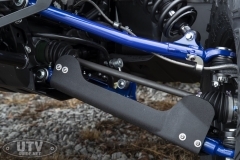 Yamaha also was also able to maintain the 300lb weight capacity as with previous year models but added additional stability for you cargo content by adding 4 welded steel die down points. As if the above changes have not gotten those interested in the YXZ1000R excited enough, let’s add the all new Sport Shift v2.0 MCU Logic enhancement to the list as I believe it’s a vital part of the evolution to perfect the YXZ. 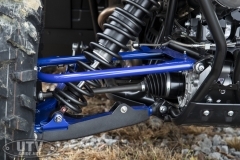 Some of the enhanced features rock crawlers and those who often encounter obstacle littered trails will appreciate things such as improved low speed operation with 40 percent less clutch disengagement at slow speeds. 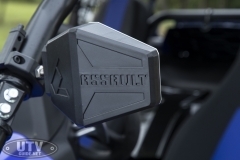 This machine is able to creep and crawl in a much improved manner. 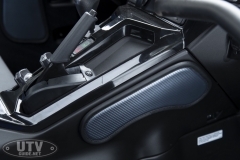 These tweaks also improve and smooth the clutch engagement and the down shift operation. 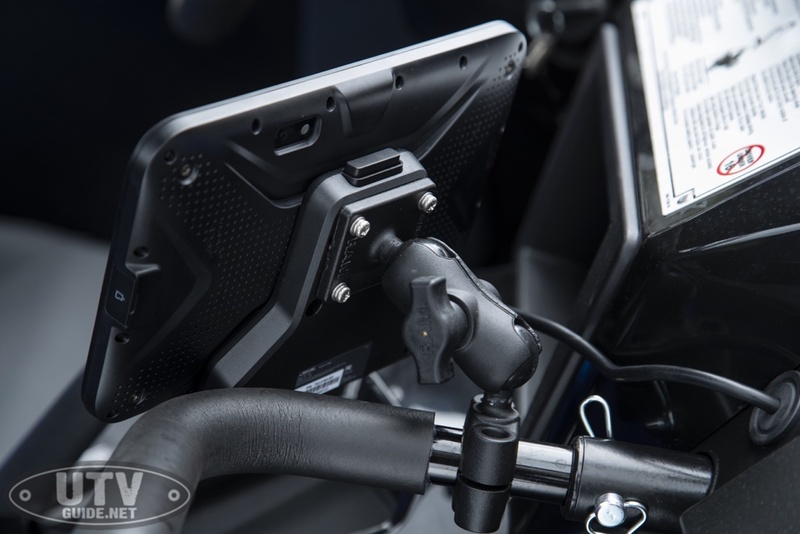 Engineers claim that it now has 50 percent less half clutch timing during down shifting which results in improved engine braking. The optimized gearing and MCU logic leads to 2.3 times more clutch durability and offers a more dynamic clutch engagement in reverse as well. Lastly, for those who like to drag race, the launch mode is quite incredible and effective. Just a few simple steps to engage the launch mode and this machine will give you a new understanding of what g-force feels like. 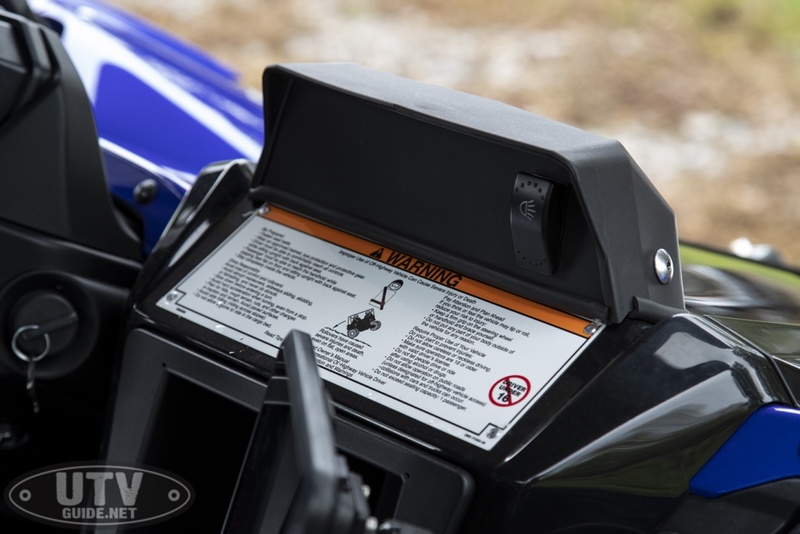 To me, I love the redesigned ROPS (Rollover Protective Structure) that Yamaha engineers have come up with. First of all, I feel that it has a much improved appearance to it, but check out this list of functionality advantages this new design brings. For one thing, it’s now easier for riders and drivers to enter and exit the cab as it’s new shape better lends accessibility and lessens the likelihood of banging your helmet upon entering. 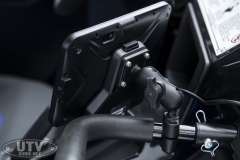 The new redesigned version also reduces the vehicle height more than 50 mm. Since the front portion has been raised higher, you will also notice how much easer it is to see the trail ahead of you without ducking when traversing down steep declines. Did I mention how much better it looks? Personally I’d consider this section of revisions to be the least of importance, but by adding together all of the 2019 revisions together it’s quite a significant release. For 2019 you can expect new styling of the front hood. In addition, two 5W Cree LED lights, which are Factory installed only on the Ultra White SE model improves night visibility. 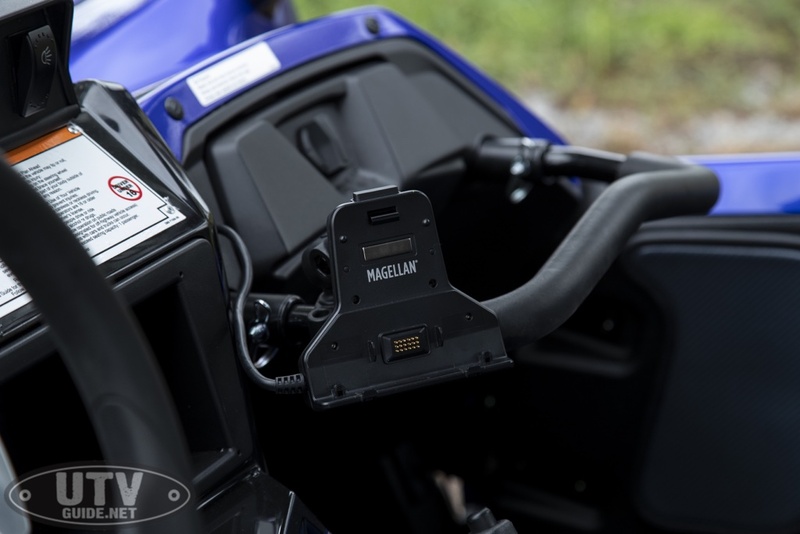 For those who purchase the other models where extra lights are not Factory installed, the good news is that you can purchase these lights as an accessory from Yamaha. It’s my understanding that Yamaha will be offering MY19 YXZ1000R test sessions for the media on both the East Coast and West Coast to demonstrate the improvements made for both. Fortunately for me, I’ve been awarded the opportunity to attend the East Coast session which is where I am most at home and experienced in. 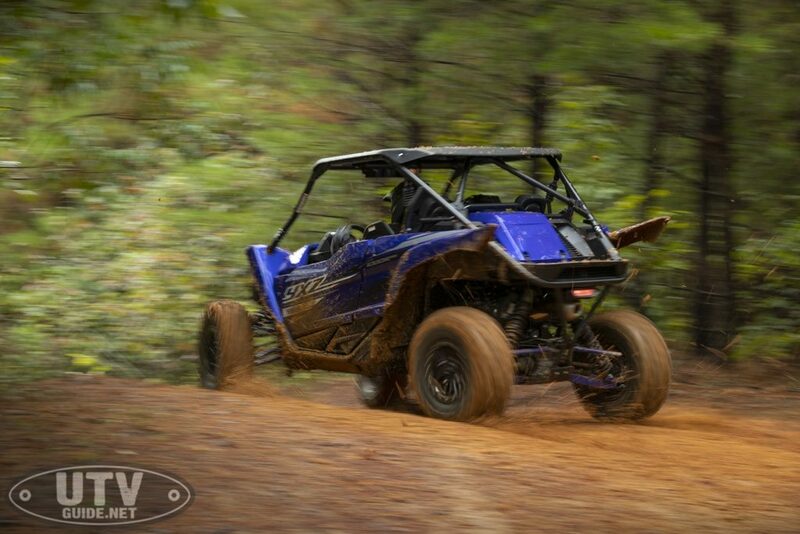 We did our testing on the tight wooded winding trails of Stony Lonesome OHV park in Bremen, Alabama. I’ve gotta tell you, within just a very few short minutes on the trail, the first opportunity I was able to open up the 2019 YXZ into full throttle paddling through the gears, I knew that I was in absolute love with this machine. 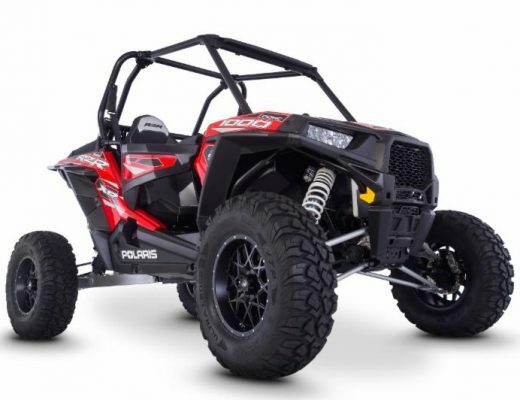 It’s fast, torquey, nimble and literally lights up the tires like I’ve never felt before when popping out of the tight trails into an open stretch. The power of this machine pulls and pulls, and just when you think it shouldn’t pull anymore, it just continues to pull with force. I don’t know about you, but I love that feeling. On the tighter more technical trails, I was able to keep good speed and found that shifting down as I entered the sharper turns allowed me to keep on the throttle while remaining stable and maintaining excellent speed just like I’d do on my sport ATV making use of the gears for much of the braking. Like I said, the YXZ’s handling felt quick, nimble, very responsive and gave me great confidence as it would go exactly where I’d steer it without the front end pushing out of its line. 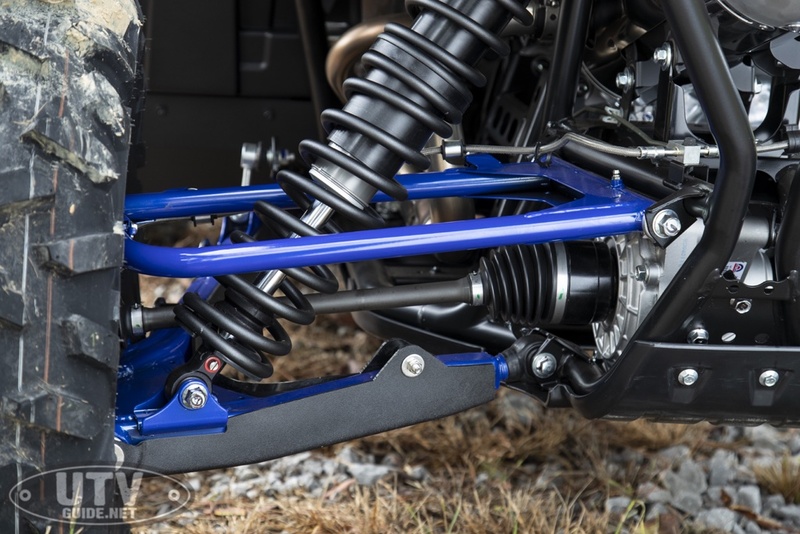 The suspension was quite plush in slower conditions and reacted amazingly at higher speeds banging through rough terrains soaking up what should of been harsh hits. Shifting of the gears was smoother than I imagined and shifting with the paddle felt extremely natural. The overall handling of this machine is quite extraordinary. 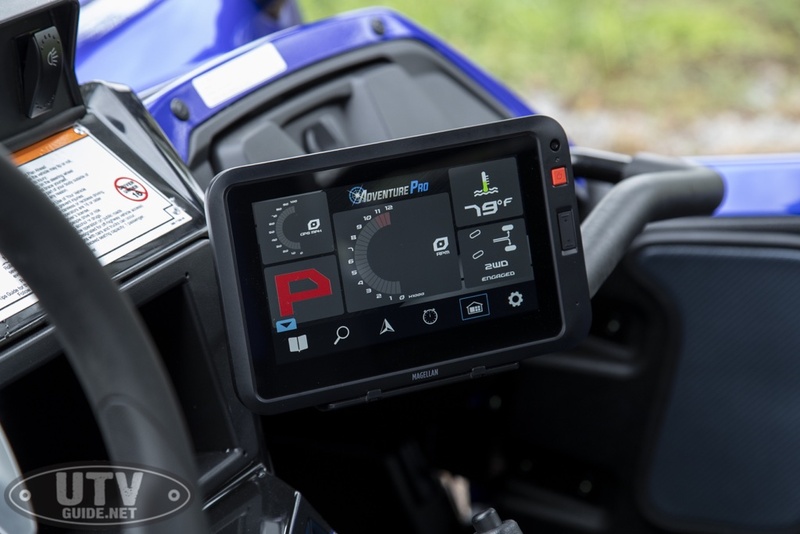 One thing is for sure, it’s a very peppy machine and being smooth on the throttle takes a little getting used to, but I believe Yamaha has gone to a great extent to smooth this characteristic out. 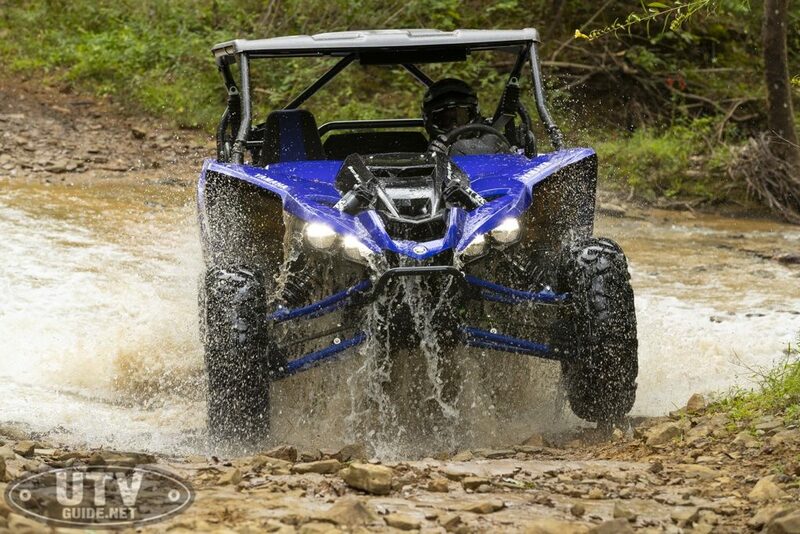 We all know that the YXZ pretty well shines in an open scenario where you can really open it up and drive it hard. But I feel Yamaha really worked hard to improve upon it’s capability in tighter more technical scenarios and it was successful. 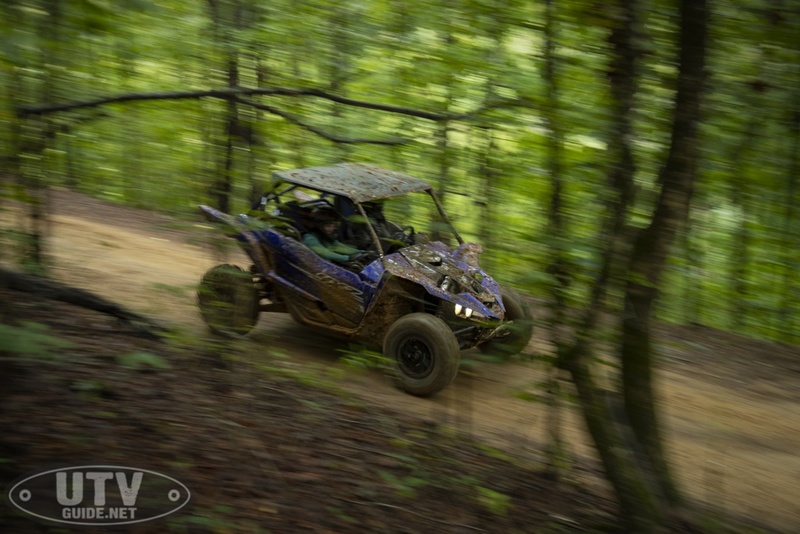 I purposely tried out the new YXZ in the differing scenarios such as slow creepy crawling, slow climbing steep hills and zipping through the trails all while keeping in mind the handful of tweaks Yamaha put into it for 2019. In my opinion, I felt that I had plenty of confidence in its abilities and felt that the revisions Yamaha made certainly enhanced it’s abilities in all of the scenarios that you might find yourself in out on the trails. I crawled through large boulder sections and climbed up and over long super steep hill climbs at a crawls pace with ease and confidence that it would pull me up smoothly and over to the other side. 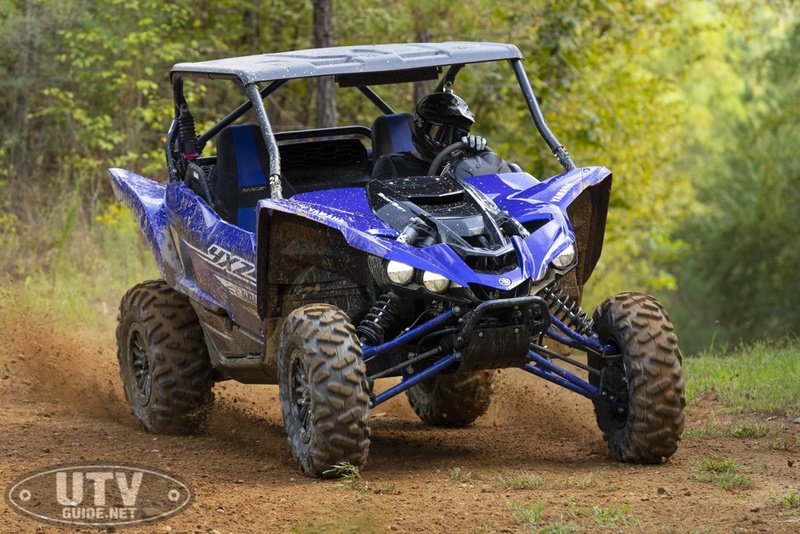 For me, I find the Yamaha YXZ1000R one of the most exciting true sport UTV’s on the market. Honestly, this machine is not for everyone. 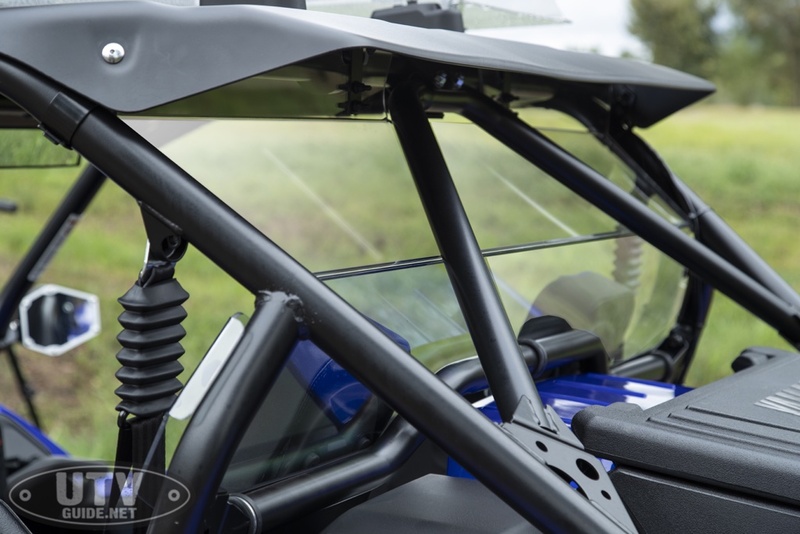 I feel that the YXZ lends itself more towards those who seek the thrill of ultra high performance adrenaline experiences more so than those who prefer a chill day out on the trail exploring with family and friends. 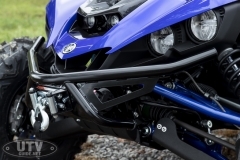 But I think the main objectives of the revisions Yamaha has made on the 2019 model is that even though it’s prized personality traits shine in the true high performance sport arena, it also is quite capable of conquering any scenario you throw at it with both confidence and comfort.